Jeffrey Ryan reached out to me to help him create a blog for his law business. 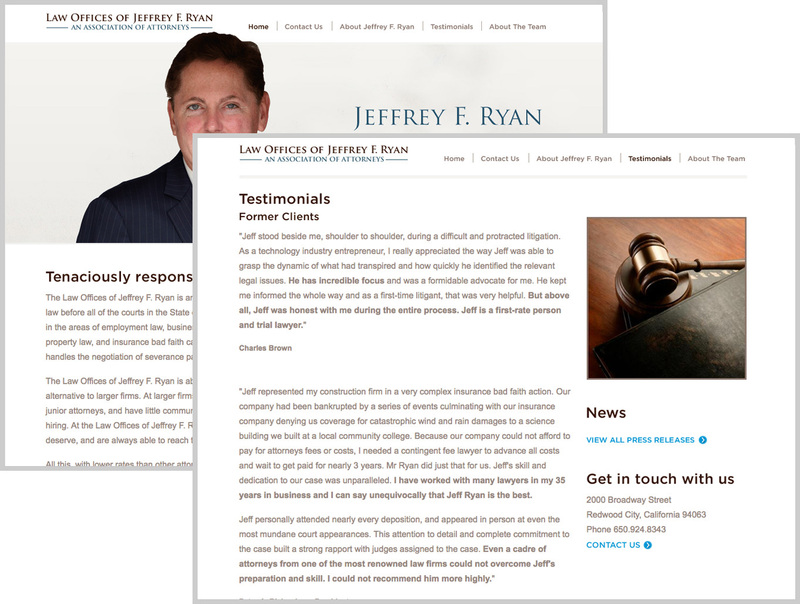 Back in 2010, I designed and built Jeffrey Ryan’s corporate website. Just recently, he wanted a blog that complemented his site and provided a platform for him to spread the good work he was doing and raise his image in the marketplace. Due to the State Bar of California Ethics Opinion, blogs that are inside of websites are considered advertising, so the blog had to exist on it’s own and be separated from his corporate site. Deep Link Registry is a central database for mobile app developers to find deep links and to generate code to put in their apps. It’s like Github or IMBD for mobile deep links.